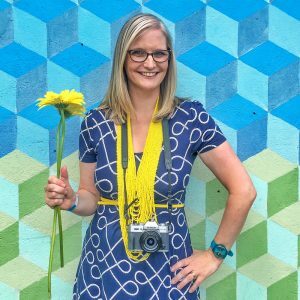 Here on the Maidenhead Mum blog I love to hear about things that are supporting Maidenhead. I’d seen the posters for ‘Eat on the High Street’ around town, but it wasn’t until I bumped into one of the organisers at a Maidenhead Business Girls meet up that I understood just how good an idea it was. Pies, biscuits and cakes, many of them gluten free. 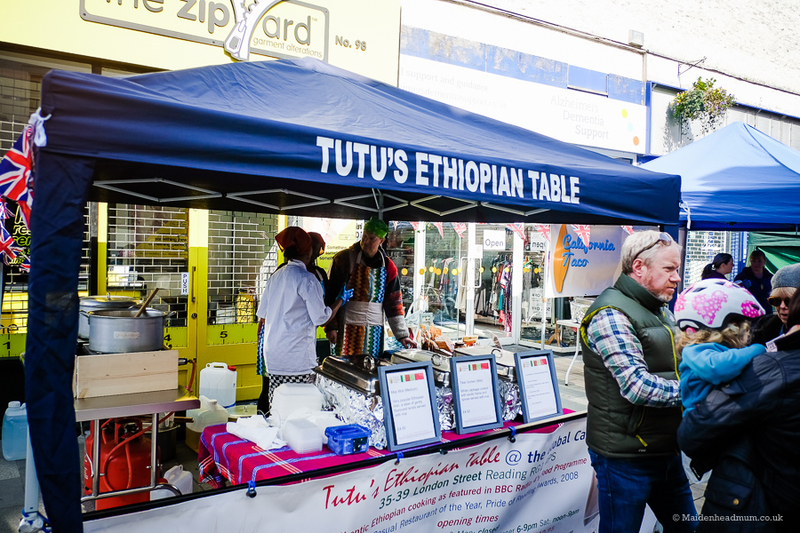 Ethiopian food proved popular, definitely on my list next time! …or have a Gourmet Burger. 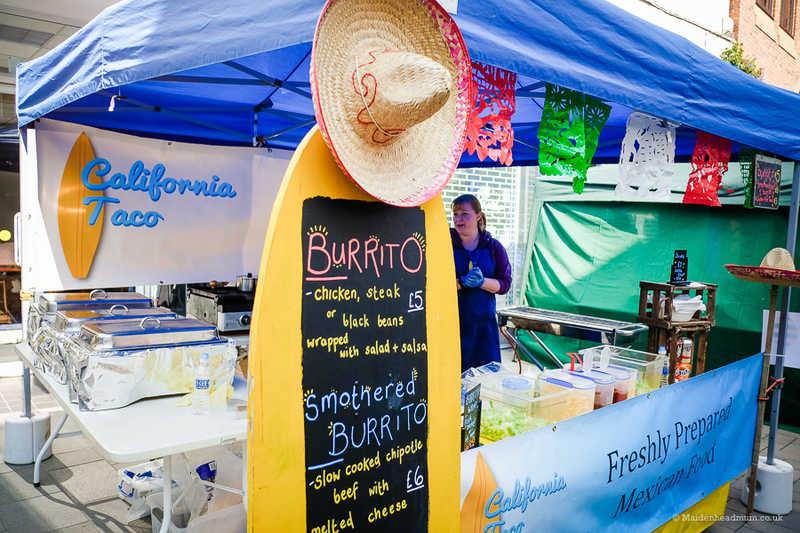 The burritos proved very popular too. 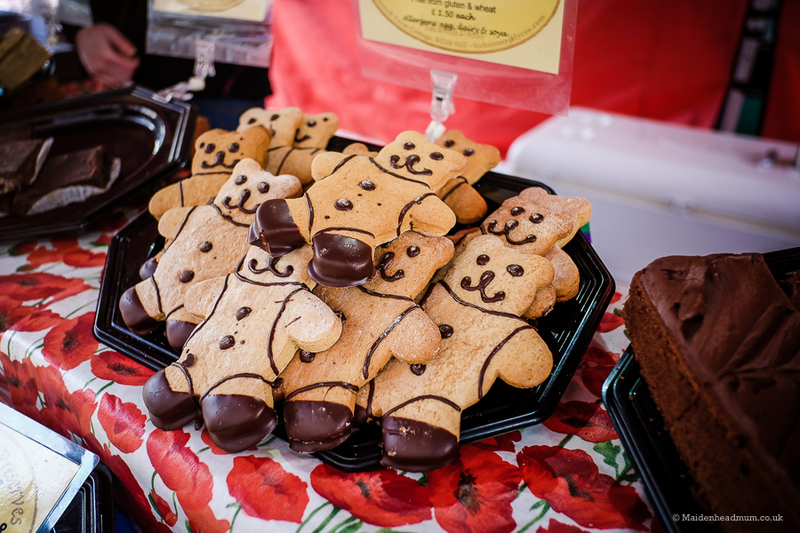 I couldn’t quite figure out how I could eat one without getting too messy in the middle of the high street! There were treats for those with a sweet tooth, too. What was Eat On The High Street like? Seeing as we have two small children, Sunday lie-ins are a thing of the past and we often find ourselves eating earlier in the day. 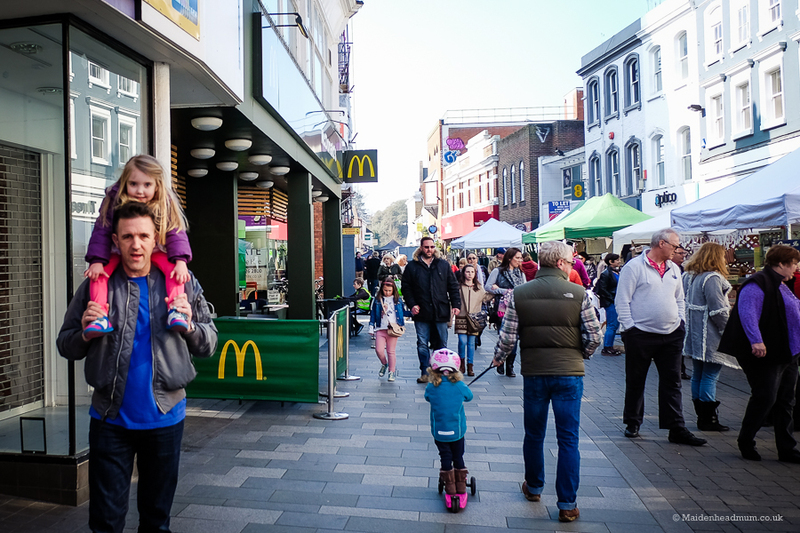 We were in town for 11 to see what Eat On The High Street was like and what food was available. 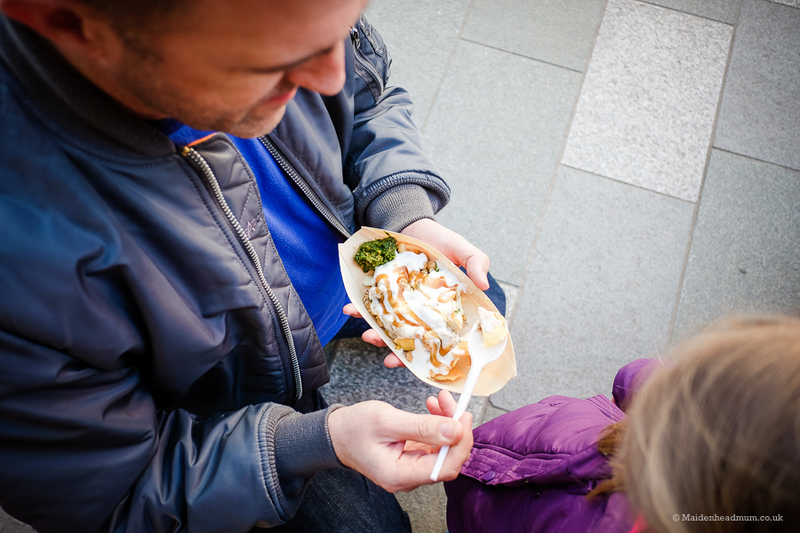 Even though it wasn’t technically lunchtime, Mr H managed to sample a crepe, a paneer roll and ‘Papdi Chaat’ (Indian street food) within about 5 minutes of getting there! 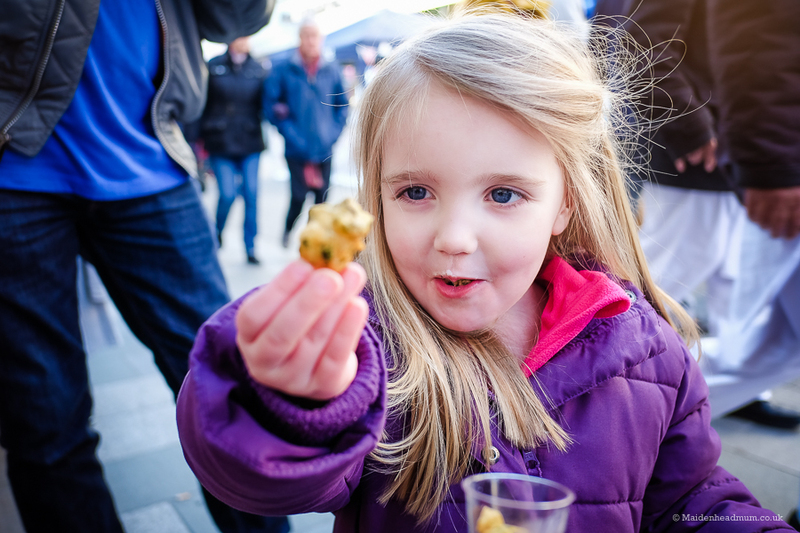 As an added bonus, the Little Lady was intrigued to try some new tastes and flavours too. 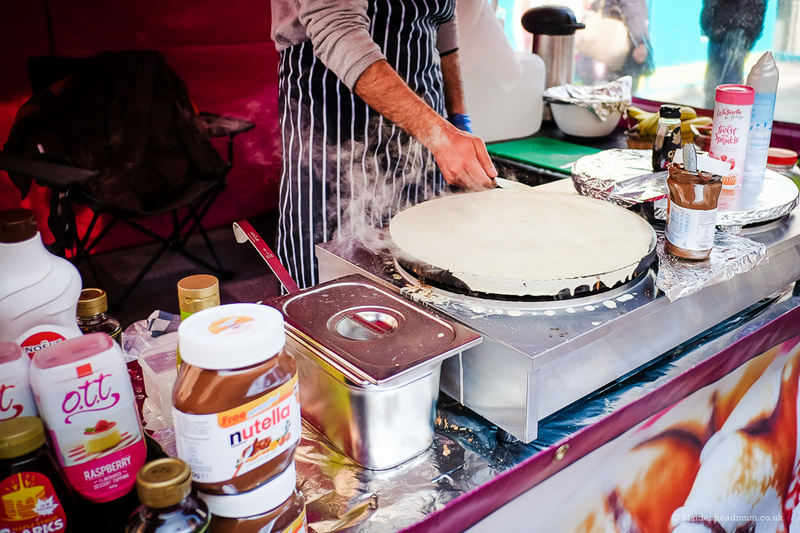 First Stop for Mr H was the Crepe stand. And the Little Lady was very keen to get stuck in! Daddy… Can I have some?! I should also comment on the weather (I know, how terribly British of me!). Luckily for Eat On The High Street it was a gorgeous wintery sunny day. This was the first community event in recent memory in Maidenhead where I hadn’t seen gale force winds or torrential rain. Obviously you can’t pre-book the weather, but it certainly helped everyone enjoy themselves just a little bit more and added to the festival spirit. Clear blue skies and no rain. I repeat: NO RAIN! Just a bit nippy, but we’re British, we can handle that! Double the stalls, double the things to see, eat and do. 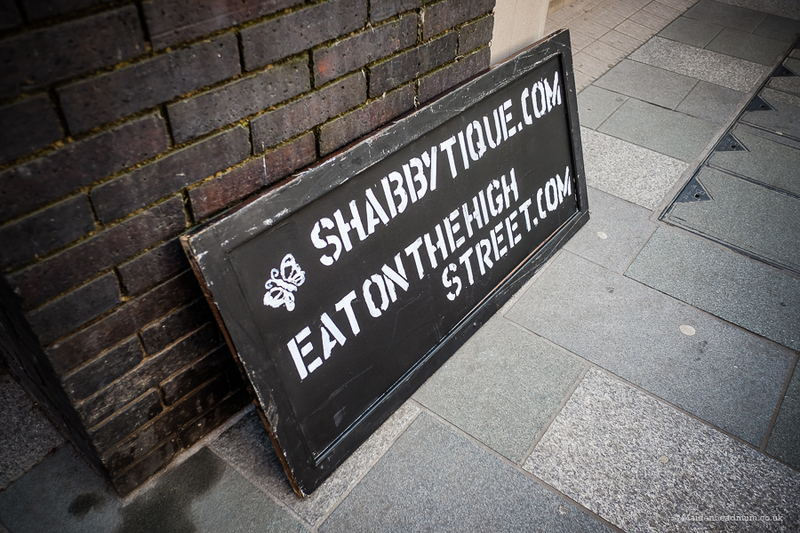 The combination of Shabbytique stalls alongside the food stalls also meant that the High Street had lots of variety and character. Perfect for encouraging people to stop and browse and consider Maidenhead as a ‘go-to’ destination at the weekend. 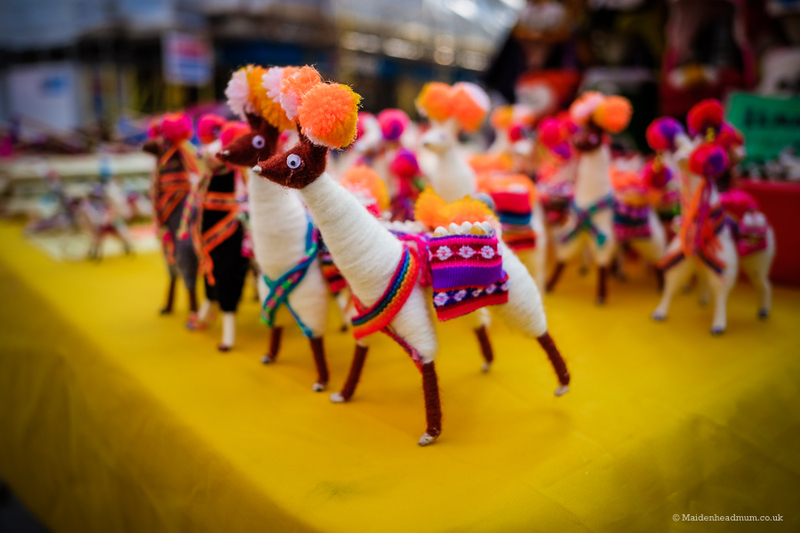 How often do you see multi-coloured llamas on Maidenhead High Street?! Or funky hats?! Great to see something a little different on offer. 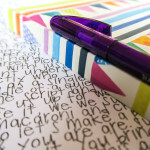 It would be lovely to see more local crafters represented too. 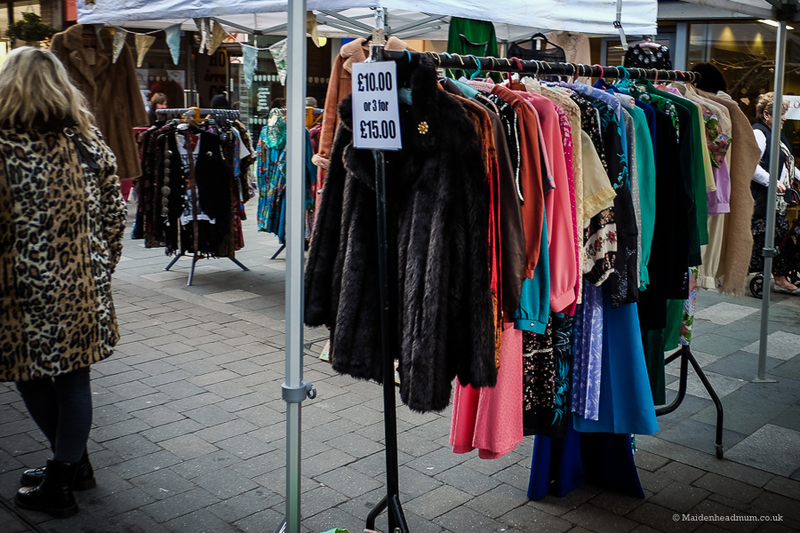 Vintage and unique bargains provide something a little bit different to the usual high street chains. The High Street was busy by 11am on a Sunday morning: Amazing! 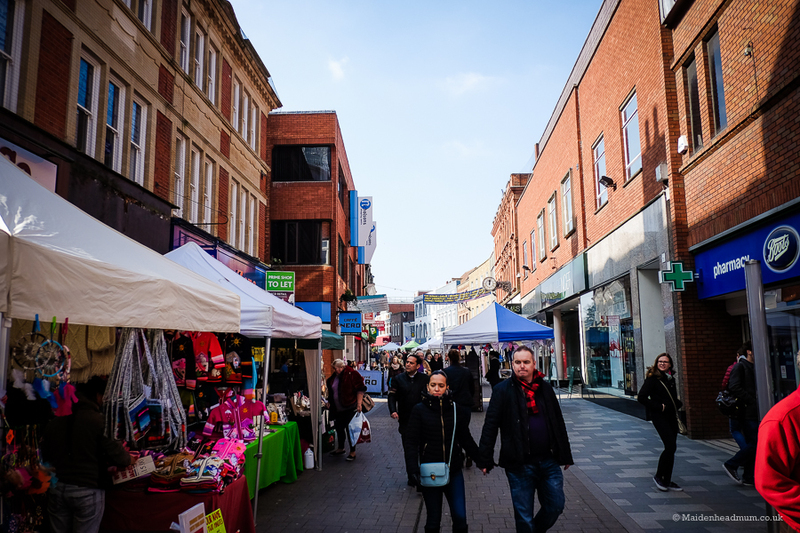 I felt that there was a great community vibe as I walked down Maidenhead High Street and I kept bumping into familiar faces. 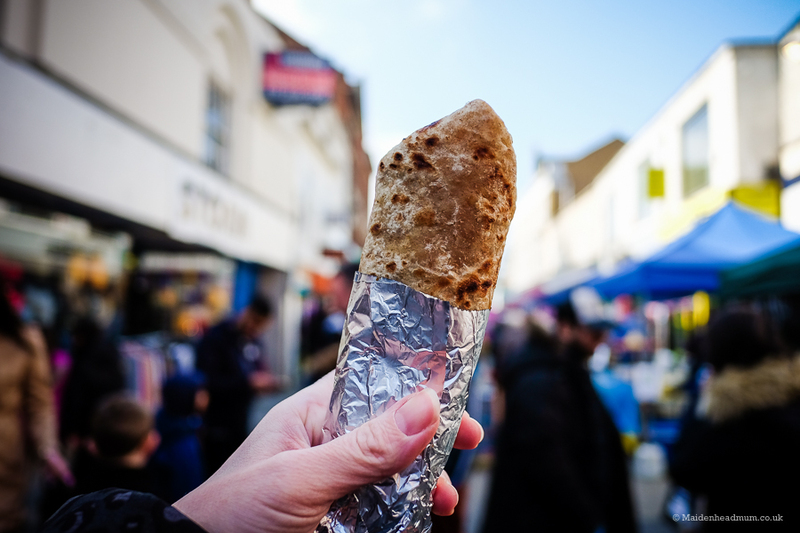 Although with a Little Lady tugging at one hand, and me attempting to eat a chicken tikka roll with the other, this became a bit of a challenge after a while! I also had the ‘eating food in public’ fear when you feel like you’re wearing half of your food on your face! 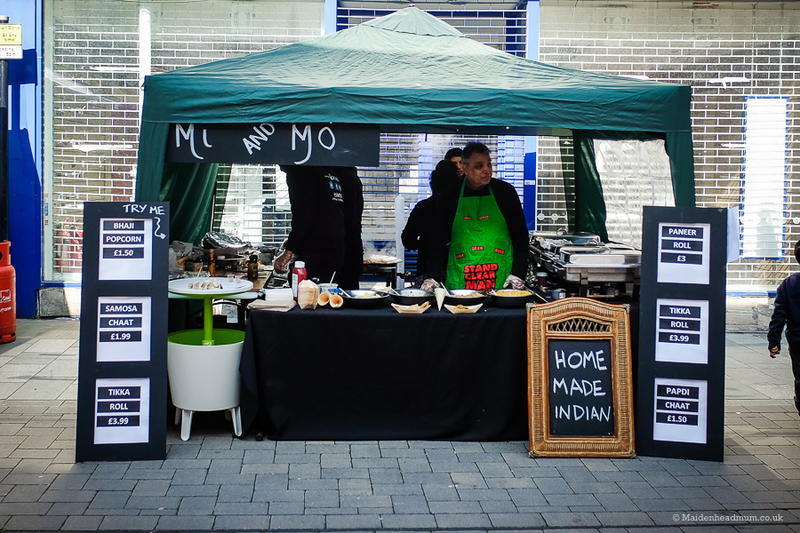 We seemed to spend most of our time by the delicious Indian Street Food stall. And we tried most of what was on offer! And it would be rude not to give it a go too! 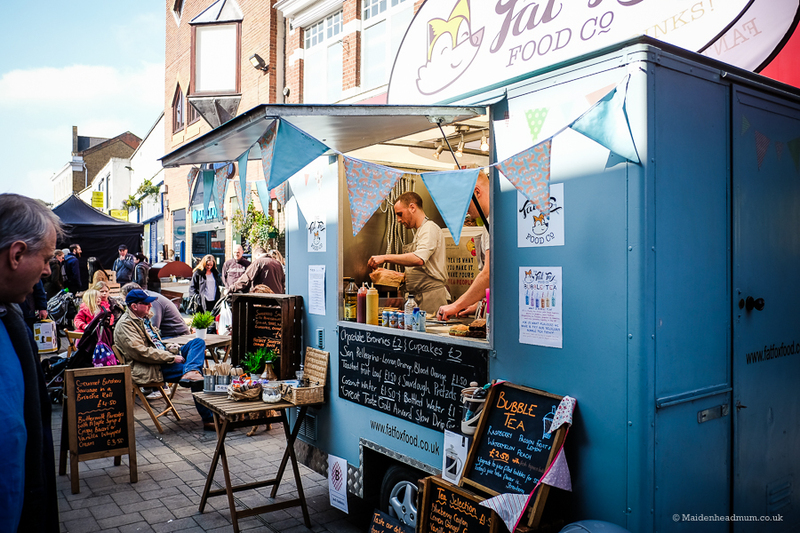 Although there’s lots of regeneration and development in the pipeline, that doesn’t really help drive footfall and support local traders while they wait for this to finish. With Henley, Marlow and Windsor all offering a decent selection of shops and places to browse and mooch, I can understand that many just skip the idea of visiting Maidenhead. 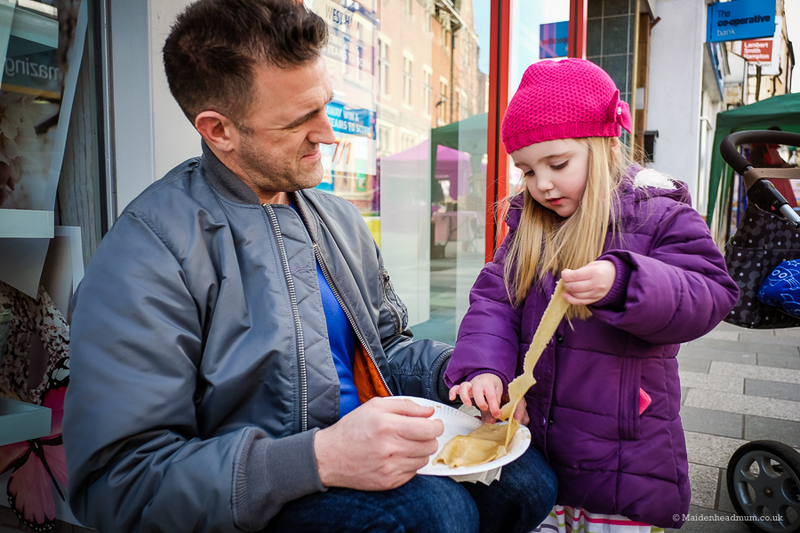 Things like the successful Art on the High Street and Eat On The High Street help change perceptions of the town and give both residents and visitors a reason to visit. As the event develops I think it will do exactly that. 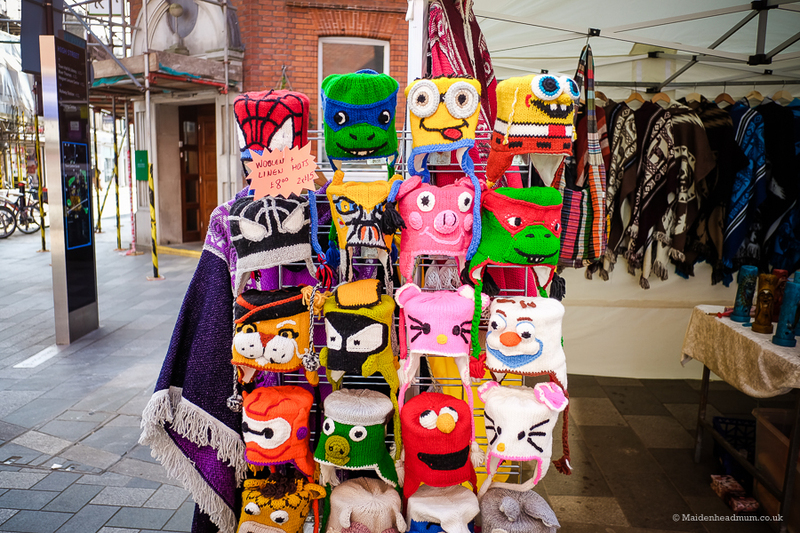 It was great to see that the traders were enjoying themselves too. I managed to escape without buying any new plastic toys (we have so many!) 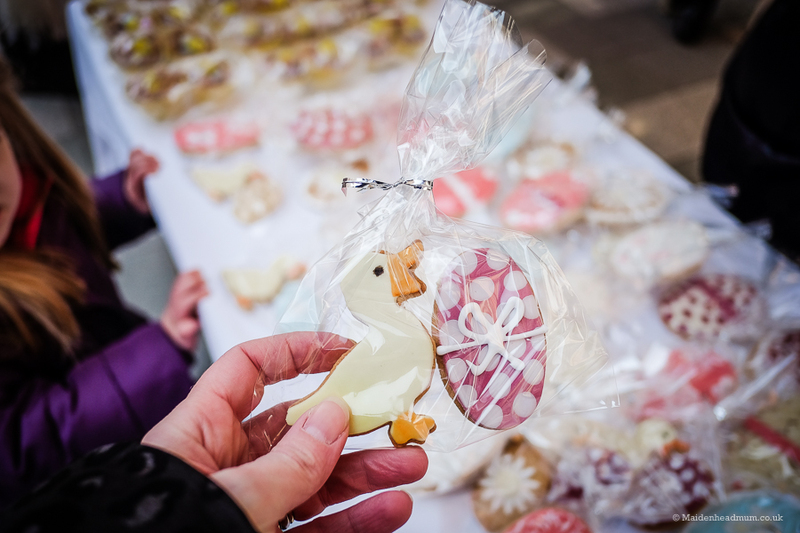 But there was no way that the Little Lady was going to let me go home without buying one of these lovely biscuits! I had a great time at the first Eat On The High Street and it was brilliant to hear how busy it had been. Some stalls had sold out of food by the end of the day. I have a few suggestions that I’d like to see at the future events (if possible!). A few more places to sit and eat so you don’t have to balance a plate of food and a child at the same time. Some locally sourced activities for kids as opposed to just buying branded toys or balloons. We have so many great clubs and activities in Maidenhead that it would be great to see them be a part of it, too. 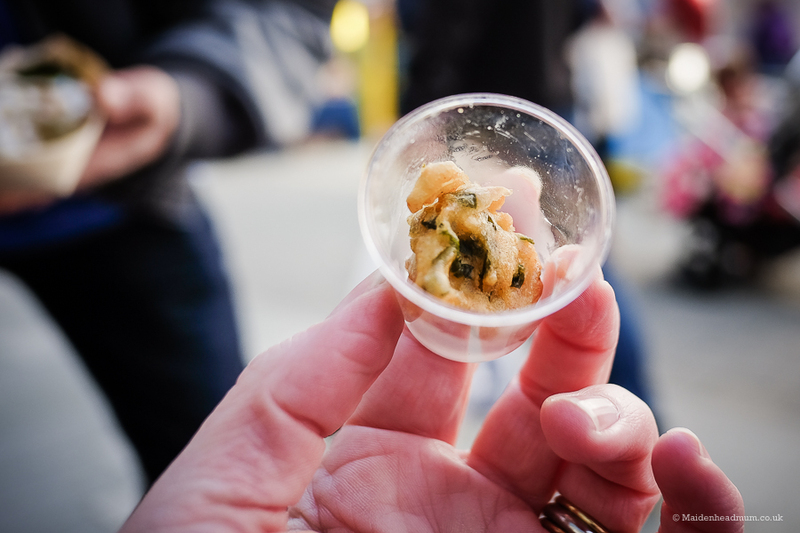 A food sampling option so that you could pay one price and try a little bit of several food stalls. Mr H might have managed 3 full portions, but I was full after my Chicken Tikka Roll so I didn’t get much chance to try the other stalls. It would be great if RBWM could reconsider their idea to charge parking on a Sunday so that people could enjoy the event without additional charges. 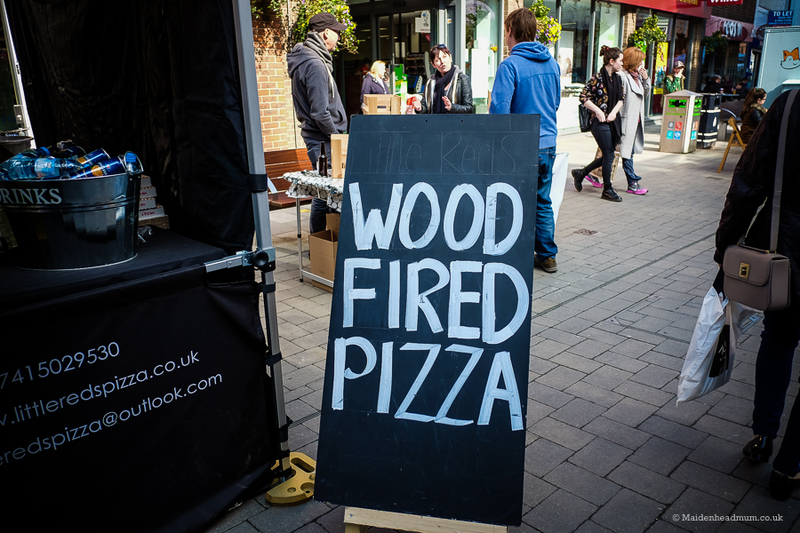 Although I had chatted to one of the founders of Eat On The High Street, we chose to visit the event as regular customers and this blog post is written independently to share my views and experiences. 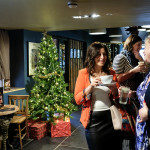 I’m really pleased that the first event was a success: anything that supports local traders and is family friendly at the same time is a winning combination for me. The event takes place on the second Sunday of every month and the next one is on the 10th April 2016. 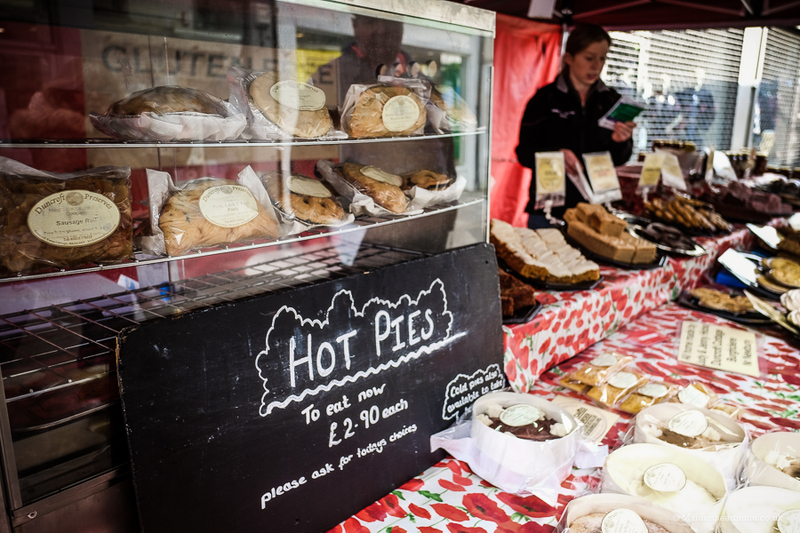 Rumour has it that there will be a few new stalls and a ‘taste card’ option where you can try different foods for a set price (whoop!). 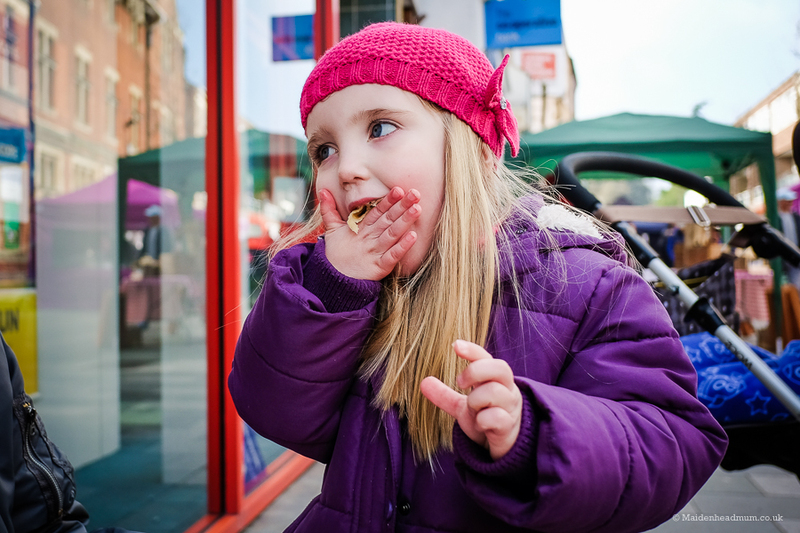 You can find out more on the Eat On The High Street website. 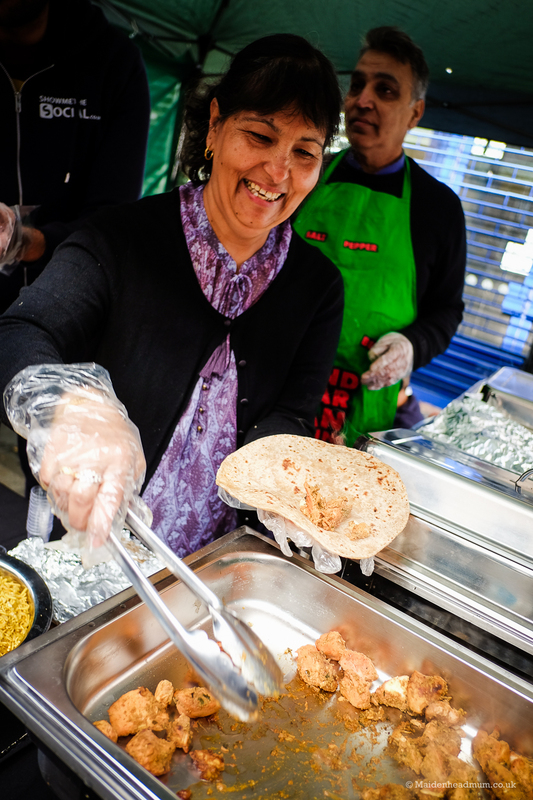 I got your details from Claudette as i’m looking for a pitch at your food market to sell some Indian foods. It’s cold food stored in preserving jars. I’d be very grateful if you could please let me know if you have a pitch. My number is 07448071915. I do have public liability insurance and a food safety certificate.